In depth on the mysteries of human performance, doing better, and being better. Most of us fear failure. We do so, usually, because the thought of failure is worse than the reality. Alex Honnold fears failure because if he fails, he could die. In reality. Honnold is a professional rock-climber, and since being featured in the Oscar-winning documentary, Free Solo, he is probably also the world’s most recognizable climber. Free Solo centers on Honnold’s quest to be the first person to climb a 3,000-foot vertical wall of rock, known as El Capitan, without any ropes or assistance. Free solo-ing, as the task is known, is as dangerous as it sounds. 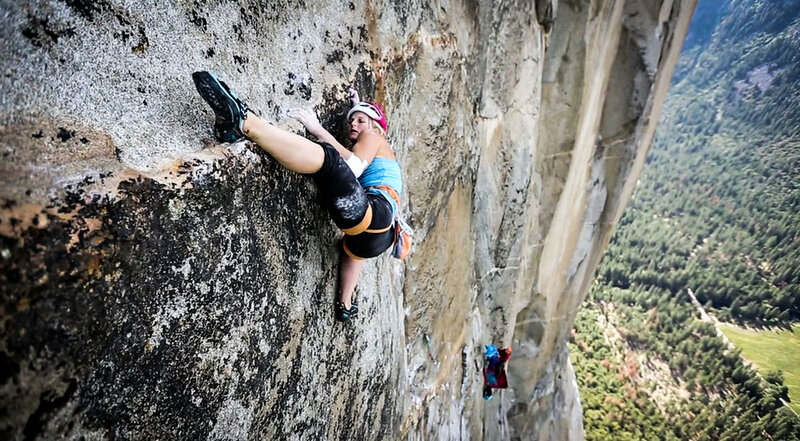 Several well-known professional climbers have, in fact, met their end doing it. As a result, the specter of fatal failure colors every moment of Free Solo, whether it’s Honnold’s girlfriend wondering how long he will be around, the esacalating anxiety of his climbing peers, or Honnold himself, who understands the reality of his task better than anyone. The filmmakers spend some time trying to convince us that Alex Honnold is simply not normal, that he feels less fear than the average person (FMRI brain scans appear to demonstrate that his neurobiological fear response is much lower than average), and that he has an almost diabolically rational point of view. But as we watch him train for his free climb, it becomes clear that Honnold is still human. Two training falls rattle his sense of security. Difficult sections of the route up El Cap openly inspire fear during practice runs. We realize that Honnold may have a higher fear threshold than most of us, but he is definitely operating at his own version of the edge. After one particularly challenging practice session on El Cap, he is asked directly about how he keeps fear at bay. As the film progresses, we realize this talk of “expanding his comfort zone” is more than just comforting rhetoric. He trains, and trains, and trains, and trains. The bulk of the film, in fact, is a deep dive into his meticulous, almost maniacal preparation, and when he bumps up against a scary section of the climb, he practices it until he has memorized every millimeter of rock and every twitch of his body. When asked about how he is progressing in tackling a particularly tricky section of the wall, Honnold recites from memory, in minute detail, a series of over 30 moves and micro-moves, all the way down to his finger and toe positions. It’s like Rainman reciting every move from an hour-long game of Twister. But that is how Alex Honnold faces death–by practicing every finger and foothold, for over a year, until he has turned an entire 3,000-foot wall into his personal comfort zone. In this particular way, Alex Honnold is not all that unusual. He has learned what all people who operate in high-stakes environments, be they professional athletes, military combatants, or first-responders, understand: that the only way to achieve true confidence under intense pressure is to train intensively and systematically acclimate oneself to scary situations. The fear does not completely go away–we do not cease being human–but we are incredibly adaptive beings and we can stretch our bodies and minds to do incredible things and dangerous things, comfortably, with the right training. Some people train so hard, that they become adept and seemingly fearless doing things that seem incredibly scary or impossible to the rest of us. Those who operate under real stakes show us that real confidence in the face of fear cannot be manufactured with simple words. The documentary would not have had a happy ending. Sign up with your email to automatically receive this stuff. I will not sell your email to anyone. And I will only send articles when I have something interesting to say and time to write about it, which is at most once per week. Thank you for subscribing! You’ll be getting interesting articles soon. How do you prepare for the biggest moment of your life?